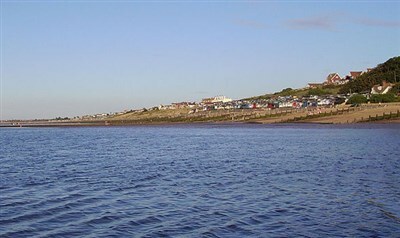 A full day in Whitstaple to enjoy a day at this lovely seaside resort. The Town of Whitstable grew from the main road to Canterbury, now known as the high street, and the alley ways developed as local residents needed greater access to the sea. The multitude of alleys also served as convenient escape routes for smugglers, as Whitstable was, like most Kentish coastal towns, awash with the illegal trade in tobacco and spirits, as well as people during the Napoleonic wars. 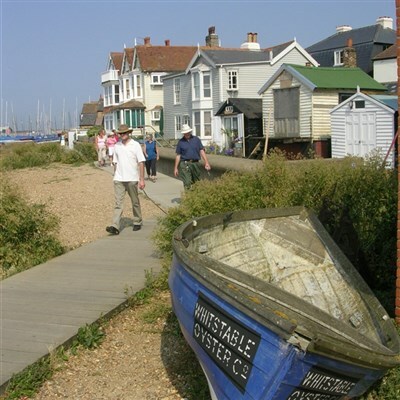 With their distincive names and character, the Whitstable alley ways run throughout the town, and are intertwined with Whitstable's growth and history as a coastal town. There are many alleys to explore for example Squeeze Gut Alley - Once known as Granny Bell's Alley, due to the fact that a grandmother of sixteen children lived there, the reason for its present title quickly becomes clear as you try to pass through it! The walls on each side loom high and dark as the alley bottle-knecks at the Island Wall end. According to history, the alley way may also have got its name from a game local boys once played with a potentially very unamused overweight policeman who was unable to pursue them through this confined space. Whitstable Harbour was built in 1832 by the Canterbury and Whitstable railway company in order to serve the "Crab and Winkle" line, the world's first passenger railway service. The Crab and Winkle line also carried coal, and linked Canterbury and London via a steam ship from Whitstable harbour.